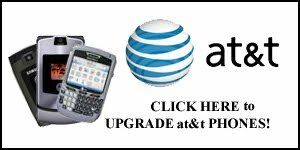 Cell Phone Upgrade Deals from AT&T, Sprint, Verizon Wireless, T-Mobile. Existing cell phone customers looking for phone upgrades do not need to switch wireless cell phone providers or be a "new" customer to get a great deal on an upgrade cell phone. All major providers allow current customers to realize big savings with a cell phone upgrade as long as they extend their contract. I was searching for cell phone upgrade deals and came across this video on youtube, talking about why it is a good idea to purchase your cell phone upgrades online to save money and replace your outdated phones with new technology. I was just checking out some industry news, and see that Verizon Wireless is going to require customers to go longer before they can upgrade their phones at a reduced price. "Verizon Wireless, the country's largest cellphone carrier, is extending the time it takes to earn a subsidized phone upgrade from 20 months on contract to 24 months." I personally have a Verizon Wireless Family plan- well, I guess I used to. I previously had the deal where you could add up to 5 phones and pay just $9.99 per month for each "add-a-line" phone and share all the minutes and messages. That has been replaced by their new "Share Everything" deals. My point is: I have upgraded my Verizon Phones at a reduced cost several times over the last 12 years. In case you don't know how the cell phone subsidy system works, the cost of your equipment is subsidized when you sing a long-term agreement. Originally this was to acquire new customers. With the advent of easy number portability and wide coverage from multiple carriers, Verizon wisely saw the need to subsidize new phones for existing customers. Generally the cell phone upgrade offers were a little less attractive than the new customer incentives, but Verizon branded the "New Every 2" cell phone upgrade deal- which essentially let existing wireless customers receive a new "free" phone every two years. or they could choose to apply the subsidy towards the price of a more expensive phone. The name was always slightly misleading, as Verizon often allowed reduced price cell phone upgrade in as little as 10-12 months. At some point, one could obtain a smaller subsidy after one year or a full subsidy just under two years. As the article explains, the cell phone upgrade subsidy already changed "
Verizon subsidized upgrades after just 13 months until January 2011, when it introduced the 20-month period." Because the marketing always emphasized upgrade offers at the 1 or 2 year cutoffs, I am not sure many customers realized they received a subsidy at 20 months, anyway. This may be a shrewd business decision by Verizon, because at 24 months they technically are offering the "New Every 2" scheme they previously promoted. So they will end up giving fewer discounts, but will most people notice?